Born in Lansing, Michigan Timothy became a professional actor in 1979 with The Green Mountain Guild’s Theatre for Children, touring Vermont. He then went on to the famed Actor’s Theatre of Louisville, where he was a company member with Academy Award winners Chris Cooper and Kathy Bates and Pulitzer Prize winners Marsha Norman (Night Mother) and Robert Schenkkan (The Kentucky Cycle). As a theatre actor he has appeared professionally in over 70 plays including two stops on Broadway in Brighton Beach Memoirs (1983) and the lead role in Aaron Sorkin’s A Few Good Men (1990). In 1981 he joined Circle Repertory Company with company members William Hurt and Pulitzer Prize winners Lanford Wilson and Sam Shepard. Regional credits also include The Mark Taper Forum in Los Angeles and The Long Wharf theatre in New Haven, CT. Timothy most recently he appeared in Vigil at the Westport Country Playhouse for Artistic Director Joanne Woodward and was nominated for the 2008 Connecticut Outer Circle Critics Award for Best Actor in a play. In 1986 he founded Theatre for Children, Incorporated and the school touring The Fantasy Theatre while finishing his run on the long running TV show Trapper John, M.D. With the promise of support from school superintendents in Sacramento, Solano, San Juaquin and Contra Costa counties Timothy then chose and moved to Sacramento following his dream of creating a theatre company dedicated to bringing professional theatre to children. Now celebrating it’s 25rd performed professional theatre for over 3 million California children and received over 10 thousand plays written by children ages 7 through 14. In 1992, Timothy co-founded the highly awarded B Street Theatre in Sacramento with his brother Buck as a companion to The Fantasy Theatre. Since inception, The B Street Theatre and B2 have developed new works by Aaron Sorkin, James McClure, Joe DiPietro, Jane Martin, and Buck Busfield among many others. The B Street Theatre has also received countless awards as Sacramento’s top professional playhouse as well as many acting honors including the Bay Area Dramalogue Award for Best Ensemble Cast for B Street’s production of Below The Belt, starring Timothy Busfield, Kurt Johnson, and Ken Ruta. 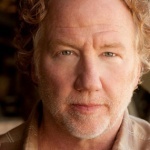 As an actor Timothy has appeared in 20 films including Stripes, Revenge of the Nerds (parts one and two), Field of Dreams, Sneakers, Quiz Show, Striking Distance, Little Big League, and First Kid . In his 29th sconsecutive year of network television, Timothy has over 425 credits to his name and has and appeared as a regular or recurring character in thirteen TV shows including All My Children, Reggie (with Richard Mulligan), Family Ties, Trapper John, M.D., thirtysomething (Emmy Award for Supporting Actor in a Drama), Steven Bochco’s The Byrds of Paradise, Champs, First Years, The West Wing, ED, Studio 60 on the Sunset Strip, Without A Trace, and HBO’s hit series Entourage. He also has starred in over 15 TV movies. As a TV producer Timothy has served on such shows as ED, Without A Trace, Studio 60 on the Sunset Strip, Lipstick Jungle and the Lifetime hit mini series Maneater. His directing credits include over 80 episodes of TV, listing among many others thirtysomething, Sports Night, ED, Without A Trace, Las Vegas, Studio 60 on the Sunset Strip, Damages, Joan of Arcadia, White Collar, Lie to Me and the mini-series Maneater.